Thinking of Trying Out Emeril’s Bread Recipes? Get a Good Bread Machine! More and more bread machines make it to the market every year. It is nearly impossible to decide which is the best bread maker without exhaustive research, or some guidance from someone who has already done the research. Baking has been my lifelong passion. I’ve had my run with several bread machines. Before giving any bread maker a try, I make sure I look at all the options. It is only after weighing all the reviews that I’ll make my pick. Every cooking mom or anyone who finds enjoyment in cooking, would have heard of Emeril Lagasse. Anyone who has watched his show knows what a great entertaining chef he is. 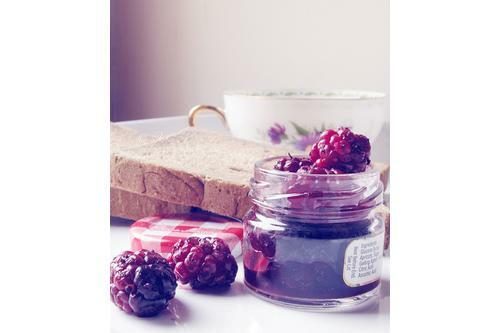 Anyone who has given his recipes a try knows what a great flair of taste he has. 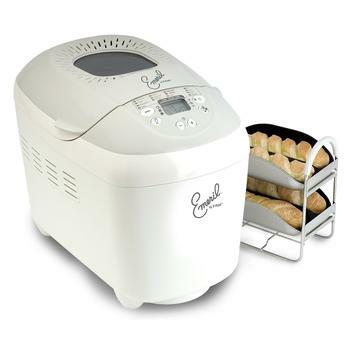 In tie-up with T-fal, Emeril has released his own line of bread maker. 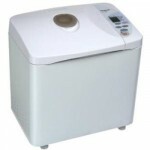 Yes, it is the Emeril OW5005001 3-pound automatic bread machine that we’re talking about. If you’ve been to the big box stores like Costco or Best Buy, chances are slim that you’ll be able to lay your hands on one. The surprising response from consumers left many retailers caught off guards (at least that’s what I was told). 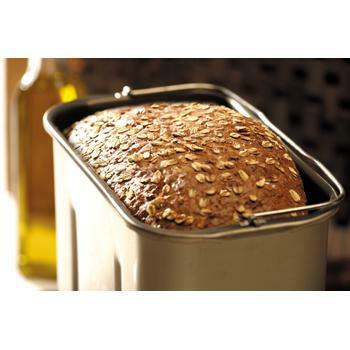 What about Emeril’s T-fal OW5005001 bread maker so warmly received by baking enthusiasts? Let’s find out. Bread machines have a lot of fancy features nowadays. They can handle dozens different types of flour. 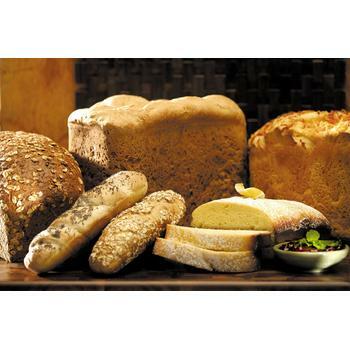 From professional flour to gluten free bread to whole wheat bread to low carb bread, sourdough, fruit breads, nut breads, cheese breads, and almost any kind of variation you can name. They also have the ability to knead a dough for use in pasta, pizza, or stovetop cooking. Many contemporary models have even added a jam feature that lets the workings of the machine be used to make jam. The signature trick of the bread machine is the delay timer, a gadget that will permit the machine to have bread ready at a certain time, chosen in advance. The delay timer works for a delay of up to 15 hours; any longer risks spoilage of some of the ingredients. The OW5005001 is not your ordinary bread machine. The typical bread machine review is fairly generic: there is often not much of a difference between two bread machines of similar price. However, the OW5005001 distinguishes itself by its ability to bake in bulk. Unlike the usual loaf sizes of 1 pound, 1.5 pounds, and 2 pounds, the OW5005001 can bake loafs 2 pounds, 2.5 pounds, and 3 pounds in size. This clearly puts OW5005001 automatic bread machine at an advantage compared to say DeLonghi DBM450 that lets you bake only 2 pounds of loaf and nothing more. On top of that, the OW5005001 can also bake sets of four baguettes. The larger loaf size would already be notable, but the baguette feature is unprecedented. This is an innovation that permits for a little more variability in the output of the machine. No longer will it produce the same rectangles of bread time after time. In the modern market, the one thing the best bread machine must do is distinguish itself. The OW5005001 does just that with its larger loafs and baguettes. Of course, it comes with the standard array of features, from timer to jam. At 19 pounds, this machine is fairly heavy. This is forgivable, considering the size of the loaves it can produce. I’m not sure why despite its popularity, T-fal decided to stop the production of this highly popular bread machine. I can’t figure out what could be the motivation behind such move. But that decision has clearly left lots of folks frustrated. The only other such ‘dumb’ business decision that I could think of is the Nexus 4 partnership between Google and LG. Despite its high demand and popularity, LG decided to stop producing Nexus 4 in favor of their very own LG Optimus model. But anyway, life has to go on. It is no use grumbling over it. 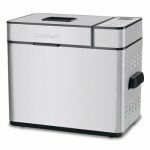 T-fal has replaced OW5005001 with PF111EUS Balanced Living bread maker. Whether or not everyone will love the new model the same way as its predecessor remains to be seen. 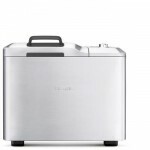 Can T-fal PF11EUS Balanced Living Bread Machine Deliver?